Greenrock has accepted the invitation by the Cross Island Committee to join them and provide a key environmental voice. 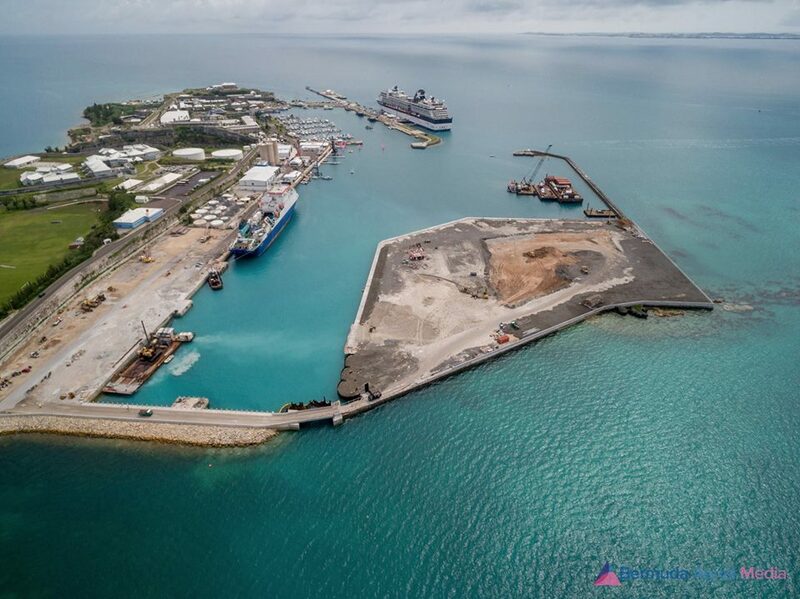 The Cross Island Committee was set up to engage the community to get ideas for the use of the nine acres of land being created at Dockyard's South Basin for the America's Cup Village, following the America's Cup. In June we were delighted that Chubb (formerly ACE) had offered to host the latest Green Building Forum and provide a light lunch to our members. On Monday, March 21st, Minister of Economic Development, Dr Grant Gibbons, tabled a report in Parliament titled "Viability of Liquefied Natural Gas [LNG] in Bermuda". The report sought to answer the question of whether LNG is preferable to the current heavy oil/diesel mix used by BELCO for electricity generation in Bermuda. Not surprisingly, the report's authors answer with a resounding 'yes'. Article 1 of 3 energy articles first published in the Royal Gazette in June 2016. On March 21, the Bermuda Government tabled a report which says that liquefied natural gas, commonly known as LNG, is a more economically and environmentally attractive fuel than our present diesel-fuel oil. It then went on to massively overreach the conclusions of the report and stated that it was considering going ahead and soliciting proposals to build the new LNG plant and convert existing electricity-generating facilities to LNG. 2015 was a year of change for Greenrock, but we continued to develop and deliver quality programmes and projects. There can be no denying that the charity sector, of which Greenrock is a member, continues to experience challenging times, as has largely been the case since the 2008 Economic Crisis. Despite these challenges, Greenrock has expanded our programmes in schools and continued to engage the community to share solutions for a sustainable Bermuda. Article 3 of 3 energy articles first published in the Royal Gazette in June 2016. The transition to a sustainable energy future is not just a technical question, or an economic challenge, but is fundamentally a cultural challenge. Professor Karl McDermott, an experienced regulator and consultant to Belco who works out of the University of Illinois, points out that “we need to recognise that the ‘modern’ vision [of electricity generation and use] that evolved from the 1920s through the 1980s relied on a technocratic solution that minimised the role of the customer as decision-maker”. The future of our electricity supply is an important topic for debate and has a significant impact on Bermuda's 'triple bottom line' of Environmental, Social, and Economic Sustainability. 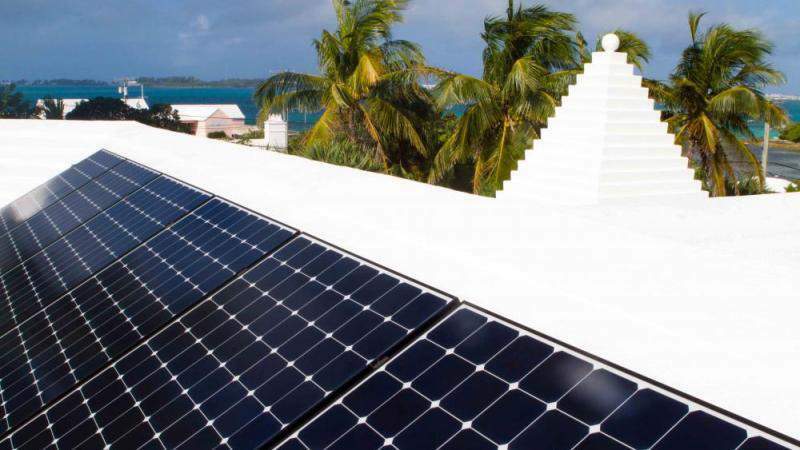 Earlier this year the Department of Energy published a new Electricity Policy, and have just followed this by tabling a new Electricity Bill for Bermuda. Article 2 of 3 energy articles first published in the Royal Gazette in June 2016. Are fossil fuels about to become extinct? 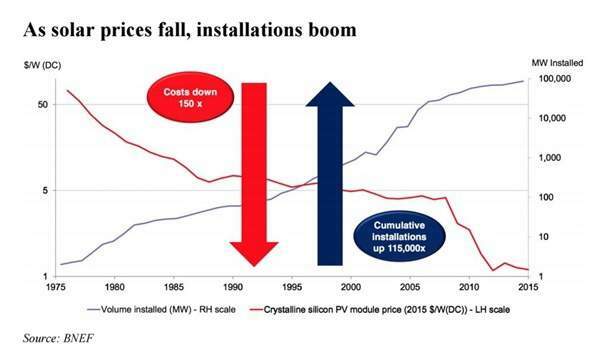 Solar's big heyday may be just three years away as the unsubsidized cost of panels plus storage is set to become cheaper than retail power supply in several large markets, Bernstein said. "The math would work in: Australia, Japan and Spain. Brazil and parts of California will become economic shortly thereafter," Bernstein said in a note last week. "At that point, solar without subsidy and without kid-glove regulatory treatment, would - if combined with energy storage solutions - be capable of supplying electricity ('on' and 'off')." It expects solar will reach a cost below $0.40 a watt by 2018, leading to a combined cost of the solar-plus-battery electricity supply of $0.24 a kilowatt hour on an unsubsidized basis in select markets, including Australia, where residential retail power averages $0.26 a kilowatt hour.